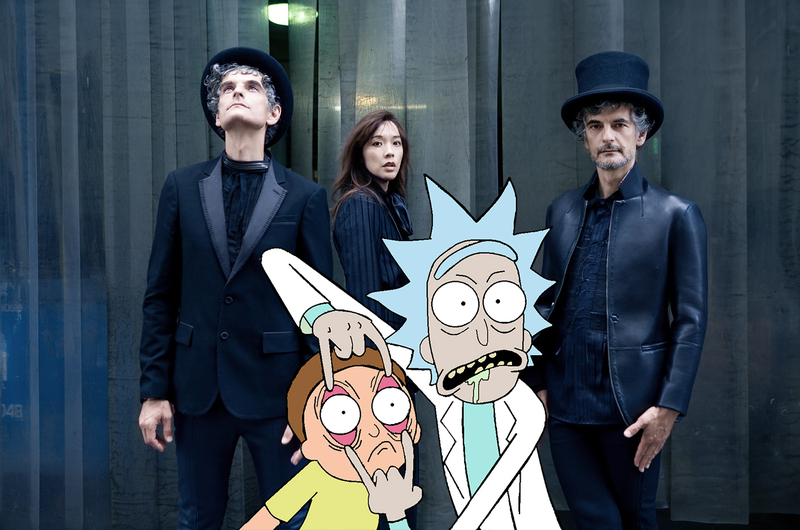 A wordless song by NYC-based noise rock/dream pop band Blonde Redhead is currently sitting in the Global Shazam Top 100 thanks to hit animated series Rick & Morty. ’For The Damaged Coda’, which is based on Chopin’s Nocturne Op. 55 No. 1 in F Minor, is the final track on Blonde Redhead’s 2000 album Melody Of Certain Damaged Lemons. It plays over the end of the seventh episode of the third season, currently airing on Cartoon Network in the US and streaming on Netflix in Australia. Apparently as a direct result of this, it’s racked up nearly 250,000 Shazams, and is currently at #75 on the Global Shazam chart, just above Ed Sheeran’s ’Galway Girl’. On the Australian chart, it’s at #54, between local artists Dean Lewis (#53 with ’Lose My Mind’) and Ricki-Lee (#52 with ’Not Too Late’). It’s the second time the song has been used in the show – it also played over the final scene of a first-season episode, and appears to have become the theme for a malevolent recurring character. It’s also Blonde Redhead’s most-played Spotify track by a huge margin, with over 6 million streams. It’s not even the only Rick & Morty-related song hitting the charts right now – such is the power of the cult show that ’Terryfold’, a deeply weird song written for a recent episode by Chaos Chaos (formerly known as Smoosh), is this week’s Billboard #33.